The founder of modern linguistics‏‎, Noam Chomsky was the first to devise a theory about the biological innateness of language. Born in Philadelphia in 1928 he studied linguistics at the University of Pennsylvania focusing on the systematic structure of Hebrew. After graduation, he became a linguistics professor at the Massachusetts Institute of Technology, where he has remained ever since. Chomsky is renowned the world over for his groundbreaking theories in the field of Psycholinguistics. He asserts that we all have an innate language faculty which enables us to acquire language. This language faculty has a biological origin and all languages share the same underlying deep structure, a sort of universal grammar. The individual grammars of our particular languages spring from this universal grammar, which consists of a series of fixed principles and several parameters whose values become set as a child acquires language. Aside from pursuing linguistics matters, Chomsky is also an active leftist social critic of American foreign policy and media. He began by openly criticizing the Vietnam War and much of ensuing American foreign policy. He has been freely critical of the media as well, accusing it of helping government to spin bad policy and failing to educate the people. He is a strong opponent of the Israeli government and also an authority on matters regarding the Middle East. 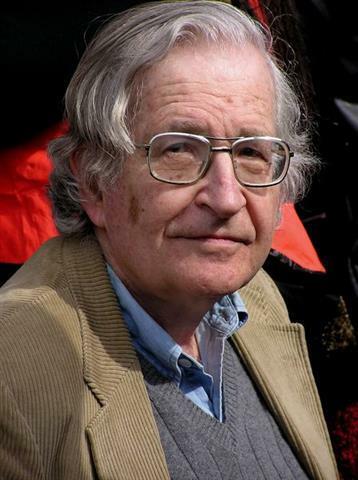 Despite being labeled by critics as anti-American, Chomsky’s anti-government leanings and his ability to link politics and linguistics are highly regarded and never go unnoticed. So much so that in September 2008, as the first wave of the economic crisis surged, Chomsky was one of several experts asked by the BBC to predict the future of capitalism.